Have you ever thought, "I wish they'd put a levelwind on these TLD's so I wouldn't have to level it myself!" The same quality that makes TLD's such great reels can be found in our Charter Special. Stainless steel gears are durable and resist corrosion in saltwater, and 3 stainless steel ball bearings ensure many years of service. Check out the best lever drag, levelwind reel on the market. 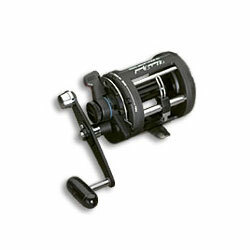 "I have owned and used this reel for 15 years and it has and still does perform just great. It has hauled in many large fish and the drag is very smooth. Tarpon, kings, cobia, sharks, goliath grouper, barracuda and many other fish were caught on this reel"